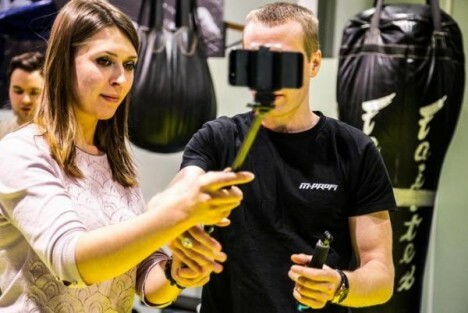 Seflie-stick photographers can make themselves targets in theft-prone tourist areas, so in case of mugging, one Moscow martial arts center is teaching travelers who to wield said sticks as weapons. Of course, retraining to use these tools as weapons is not as simple as point and shoot. Still, the telescoping mobile phone-holders are in many regards already quite like certain extendable police batons, and it makes a strange kind of sense to turn them on attackers (indeed, they have already been banned from places like Disneyworld for fear of their use as weapons). The aim is to train people to defend against all kinds of attacks, including from those with experience boxing, wrestling or practicing mixed martial arts or other fighting styles. At the very least, unsuspecting muggers may find themselves with an unwanted fight on their hands, and may choose flight over combat. See more in Various Gizmos or under Gadgets. January, 2016.